The IHRA’s Summit Racing Equipment Pro-Am Tour Presented By AMSOIL will host a double event on the weekend of June 12-14 at Walla Walla Drag Strip in Walla Walla, Washington. Walla Walla Drag Strip’s gates will open on Friday, June 12, at 10 a.m., with tech inspection starting at 11 a.m. Test ‘n’ Tune will be begin at 1 p.m. with a Gamblers Race at 5 p.m.
On Saturday, June 13, gates will open at 7:30 for racers and tech inspection begins at 8 a.m. Two rounds of time trials will begin at 10 a.m., followed by Pro-Am eliminations and Saturday combo racing. Racer gates will open Sunday, June 14, at 7:30 a.m. The single round of qualifying is slated for 10 a.m. with Pro-Am eliminations to follow. The IHRA offers something no other sanctioning body does for its sportsman competitors: free, live webcasts of every IHRA Summit Racing Equipment Pro-Am Tour presented by AMSOIL IHRA event. 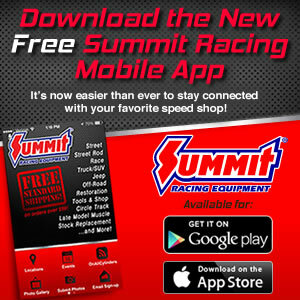 The broadcasts are sponsored by Summit Racing. To view the free live broadcasts, simply click on the webcast icon on the main page of www.IHRA.com. Walla Walla Drag Strip is located at 1212 Middel Waitsburg Road, in Walla Walla, Washington. Elevation is 1,138 feet and the track’s FM transmitter broadcasts at 94.1 FM. For more information, please call (509) 301-9243 or visit www.wwdragstrip.com.